We provide a number of services in order to clean and refresh large kitchen appliances. We also clean tiles and grout in domestic and commercial kitchens so that you are saved the time and effort. In addition, you can rest assured that your kitchen is both clean and hygienic. Furthermore, you select only the services you want… and how often you want them! We clean a range of oven makes including Rangemaster and Whirlpool. Our teams work on all the oven surfaces and carefully clean the racks, trays and any other items that are standard components of the oven. If we notice that the oven light is not working we will notify the customer. This allows the oven makers to attend to it. If it is simply a matter of requiring a new bulb, we will take care of that if the customer wants us to. We bring all our own equipment and cleaning materials. All the cleaning agents that we use are non-corrosive and free of caustic acid so they don’t produce unpleasant fumes. In fact, wherever possible we only use eco-friendly cleaning products. We clean a wide range of cooker makes including Smeg Cookers, Stanley, AGA, NEFF, Alpha and Rayburn. 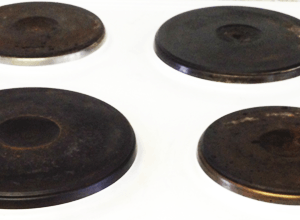 Our teams carefully clean the cooker’s surface and all the hotplates in order to remove all grease, grime and baked on dirt and spills. 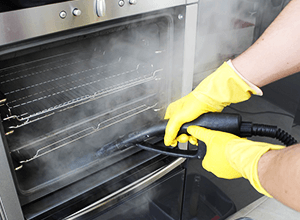 We take great care not to scratch or damage the stainless steel and enamel surfaces of a cooker by using appropriate cleaning products and applicators. We bring all our own equipment and cleaning materials. They are all non-corrosive and free of caustic acid so they don’t produce unpleasant fumes. We only use biodegradable and food friendly cleaning products. 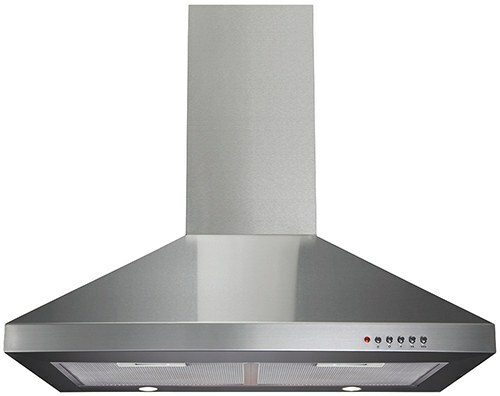 Extractors are designed to draw the steam and smoke from a cooker and oven. But in doing what they are designed to do they get very dirty. The surfaces of extractors become coated with a sticky layer made up of particles of grease, grime and dust. This poses a health risk. The filters inside extractors get extremely dirty. They are of course meant to trap particles that rise up and are drawn into the extractor. After a while these filters become caked with sticky dirt and can no longer function as they should. This means that the extractor is inefficient or stops working all together. Our staff members first clean all the exterior extractor surfaces. They then remove and clean the filters, the duct if necessary and replace the filters. This leaves an extractor fan looking shiny and clean and keeps it functioning at its optimal level. 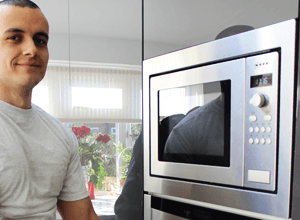 Although microwaves don’t usually become as dirty as other cooking and heating appliances, there can be accidents. The interior can become covered by splatters of food and grease. If this is left there it becomes encrusted and, as with any old foodstuffs, affords bacteria a place to grow. This represents a health risk. We carefully and thoroughly wipe down and clean all interior and exterior surfaces. This removes all dirt and the surfaces are not scratched or damaged in any way. Grime also builds up on tiles and grouting on splash-backs, walls and floors in kitchens. Fat and food splatters or splashes from pots and pans during cooking and builds up on these surfaces. 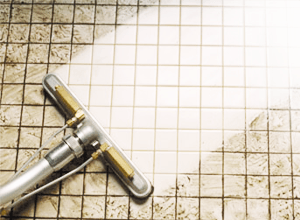 While tiles can be fairly easy to clean, grout is more absorbent. We can get grout clean too. BBQs collect layers of meat fat and vegetable juices. With non-gas BBQs these are mixed with ash. 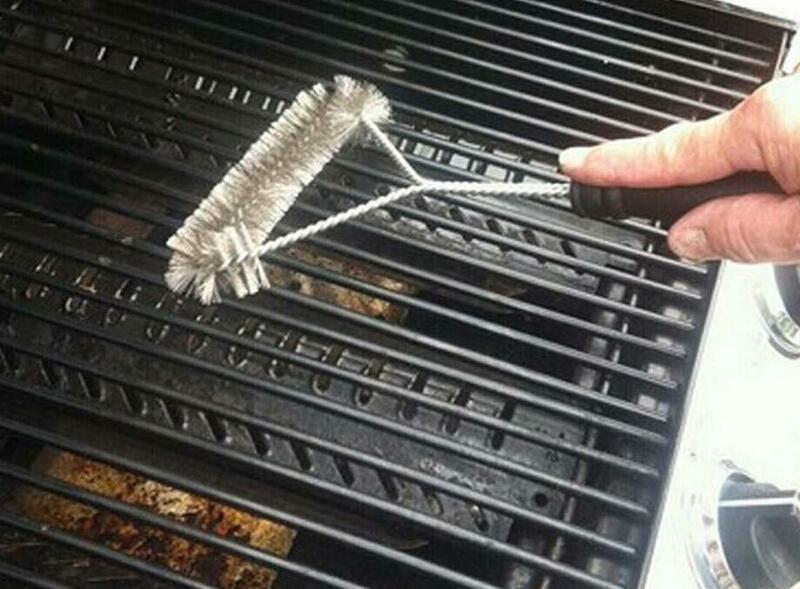 This causes the BBQ to function less well and become unhygienic. Grids get even dirtier very quickly with foodstuffs being burnt on. We clean the BBQ itself and the grid very thoroughly to remove all burnt on meat etc. Fridges get dirty inside from food and liquid spills and stains. Vegetable drawers, racks and shelves all need regular cleaning. 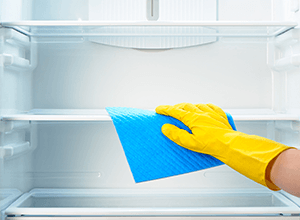 We clean all external and interior surfaces leaving your fridge clean and hygienic. Domestic kitchens get dirty through everyday use. Imagine how much worse it is in commercial kitchen restaurants and hotels! 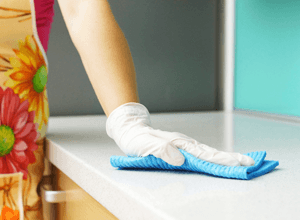 While professionals in the kitchens are careful to clean surfaces it’s not always enough. Hobs, ovens, extractors and other appliances need expert attention. 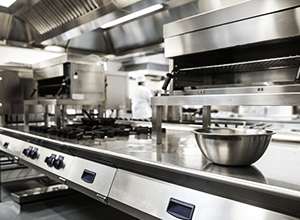 We clean all surfaces and appliances so that commercial kitchens are spotless, hygienic and up to code. All kitchens benefit from an occasional deep clean. In addition to cleaning all surfaces including walls, a deep clean attends to appliances and vents. Walls and floors behind and under large items such as fridges and stoves are also cleaned. This leaves grime, dirt, bacteria and other health threats no place to hide! To discuss one or several of these services and obtain a quote please call us and we will be very happy to assist.